The Ukrainian command says it is doing its best to have him released. 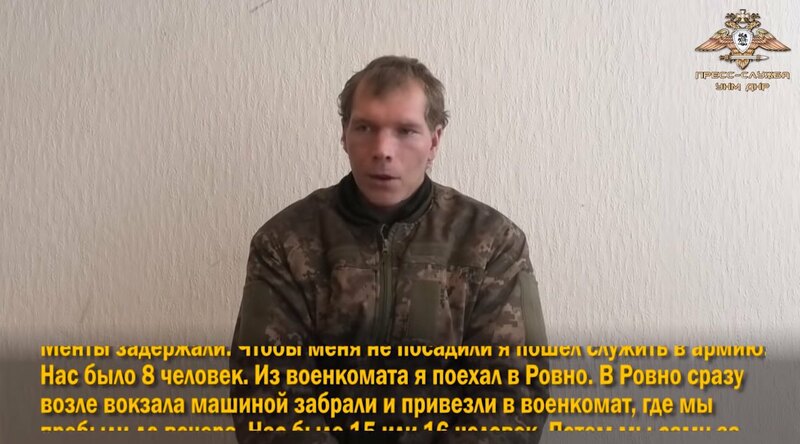 Militants of the self-proclaimed separatist Donetsk People's Republic have published a video showing Andriy Kachynskyy, a captive serviceman of the 128th brigade. On the video, he is shown speaking about himself, his family and service. In particular, the man said that he is 35 years old, a resident of Rivne Region. He does not say how he was captured. He says "they do not beat me here" unlike in the Ukrainian army. The press service of the 128th brigade verified the identity of the man on the video. "We understand that his statement was made under pressure and we do not blame him in any way. What is more, we would like to stress that he cannot be held responsible for his words. For its part, the brigade is doing its best to have its serviceman home as soon as possible. International organisations are involved in this process. Andriy's family receives comprehensive support," the brigade said. Kachynskyy went missing back on 29 December, however, it did not transpire until 2 January when Donetsk separatists reported his capture.